If you’re an American moving to London from the U.S. or a smaller town in another country, you may be concerned about the levels of crime. Every big city in the world has issues with crime and personal safety, but it is important to remember that crime can and does happen in everywhere. It is important to keep alert while you are living in London and make sure that you new apartment is secure at night. If you’re moving to London, you will be spending at lot of your time walking around the city. You need to keep alert while you are walking the streets and follow basic personal safety measures. You also need to be alert on the tube and on trains especially late at night. Not many people use private transport while they are living in London and the public transport system will be your main form of transport to and from work and while you are out and about. · Try not to use your cell phone while you are walking on the street. A cell phone can be quickly grabbed out of your hand even in broad daylight on a crowded city street. · Keep your bag close and don’t display your wallet to anyone on the train or tube. 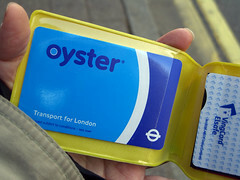 This is why it is always good to pay for your transport up front and get yourself an Oyster Card for your travel tickets. · When travelling by tube, always try to sit close to a group of people. This won’t be a problem during rush hour, but if it is getting late and you are travelling alone, then keep to more crowded carriages. As soon as you get onto a carriage, find out where the passenger alarm is so if you do have an emergency you’ll know how to alert the driver immediately. · Get the number of a professional and reputable cab company loaded into your cell phone. If you’re out late at night and need to get home, you can always call a cab. For women travelling alone, you can always use a facility such asLadycab who only use female cab drivers for your peace of mind. It is always important to maintain a sense of perspective. Very few people are affected by crime, but keeping safe is all about staying alert.